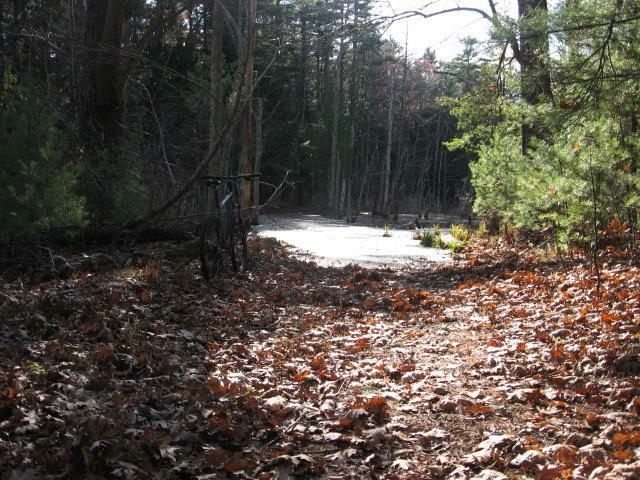 This is one of the best rides in Massachusetts! Though very wet in the spring and fall, Bald Hill is a wildlife sanctuary with an incredible trail running around/through/near it. Follow the white markers on the trees for a 10 mile ride or so, but you can get quickly lost if you stray from the beaten path.. like me. Most of the intersections are numbered, which helps. The riding is spectacular, with technical sections (enough to stay interesting); there are wall rides, killer downhills and rolling paths that are well maintained, and scenery that will blow your mind in some places. Tons of wildlife and some nice climbs, too. Two interesting sites include a pair of car chasis that have been all shot up and a rock quary that used to be a Nike missile site (missile testing was done here in WWII). If you live in Massachusetts, you need to ride here! But bring lots of water and some food - a long ride and its easy to get lost. Review: I haven't been here in years and today I was quickly reminded why. This place would need to get some serious maintenance, re-routes and new bridges to make it rideable. Most trails I was on crossed pond-sized puddles or just plain dead-ended at a pond or swampy area with no option but to turn around or bushwhack. Many sections of deep, thick mud. It's mostly doubletrack, very little singletrack. Might be a decent winter fat biking spot when everything's frozen. Review: not rideable at this time....good for hiking with your 4 legged friend. Review: I had a hard time navigating the actual Bald Hill area but I found some interesting trails in the Lockwood Forest opposite to Bald Hill and in the surrounding neighborhoods. Nothing technical at all but some cool little bridges and climbs. This place would be boring to anyone advanced in the sport but is a good place to bring beginners. Anyone know if Bald Hill trails are still bikable? Everything seemed overgrown and the last review on here is from years ago. Review: Had some difficulty following trails at times (leaves all over the place). I'd have to agree with trail maintenance being poor on those marked with green arrows - not sure what trail that is, came across it once I entered the State Forest section. Swamps have taken over some trails. Found very little singletrack, but that can again be due to leaf cover. Didn't find anything technical. 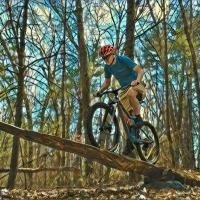 Review: This trail is great for people who like hiking with thier bike more than riding thier bike. There is little up keep on the actrul trail and it shows. Its a shame because the wild life area is wonderful. Review: Due to the heavy rains in Mass, this place needs at least a week of drying before it's worth riding. Though some of the singletrack and many of the fire roads are in good shape, a lot of the downhills have been washed out and there is PLENTY of water to cross/sink into. 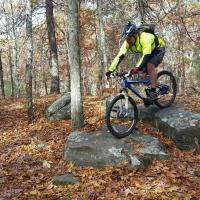 Bald Hill Reservation MTB Trail 3.00 out of 5 based on 9 ratings. 9 user reviews.